Tell me more about Travel Insurance. You can never be too safe, that is for sure! We offer optional Travel Insurance through RedSky for every paying guest stay. We highly recommend purchasing this insurance to protect your precious vacation time. To learn more about the travel insurance, please click on the links below or phone our office. What should I bring from home that is not included in the rental property? For other helpful hints & reminders, refer to our guest mobile app. It is full of all sorts of fun info catered to you and your vacation rental property. Yahtzee!! Our arrival is right around the corner, how do we get the welcome packet with access to the property? As long as you signed the guest rental agreement and returned it upon booking, we will mail your packet to you in advance to the address we have on file. The welcome packet will have everything you need + more to access your rental property. We are not able to mail packets outside of the continental US, reservations made within three weeks of arrival, or rentals in Turtle Lane Club. Not to worry! If we are not able to mail your packet for one of those reasons listed below, our local office will have your welcome packet containing all of the information you need come your arrival date. Please reference your final confirmation or the guest mobile app for more details. Don't forget to download our guest mobile app with more detailed arrival information. YESSSS!!!! I just made my reservation, now what? Congrats!! 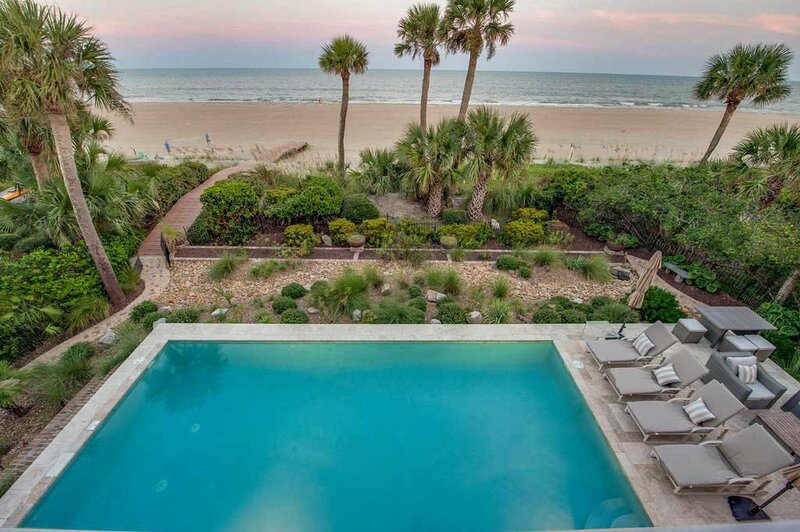 We cannot wait to host your upcoming vacation to Hilton Head Island! After your first deposit is made, you will receive a rental agreement to review and sign electronically. No need to print or mail anything - it can all be done electronically on your phone, tablet or computer - super easy! Your final balance will be auto-charged to the card we have on file come the final payment due date. At that time, you will receive a confirmation email with check-in information. What's even more exciting - will receive an email prior to your arrival with instructions on how to download our guest mobile app. This app is filled with helpful reminders, specific information about your rental property, guest discounts, and more! As always, don't hesitate to reach out to us with any questions. We'd love to hear from you! Where is your office located? We want to come see your pretty faces! We are located in the Cambridge Center building off of Bow Circle - just down the street from the Post Office. As you are looking at the Cambridge Center building, we are the last office on the right. What are the check-in and check-out times? We are getting to the Island earlier than expected. Ohh, a very popular question! Should the property you rented come available prior to 4pm, we will text the cell phone number we have on file. We try to accommodate late check-out requests as we can. Please call our office during your stay to inquire about the possibility of a late departure. Are the pool and spas able to be heated? For those homes that have heatable pools and/or spas - they are able to be heated seasonally only. Typically Labor Day through Memorial Day for those with a propane heater. However, if the home has an electric heater, they are typically only able to be heated March-May & September-November only. Spa jets do not work unless heat has been enabled. 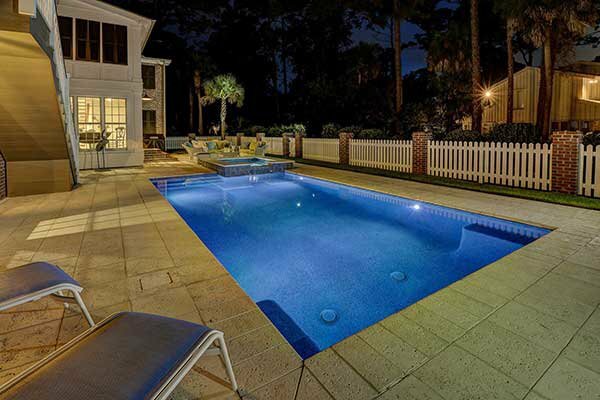 Please refer to the online property description of your vacation rental home for specifics on pool/spa heat info. Additional fees apply to heat pools and spas. Must be scheduled at least two weeks in advance of your vacation by calling our office. What is the scoop on long term stays? We would love to come down and stay for at least a month. 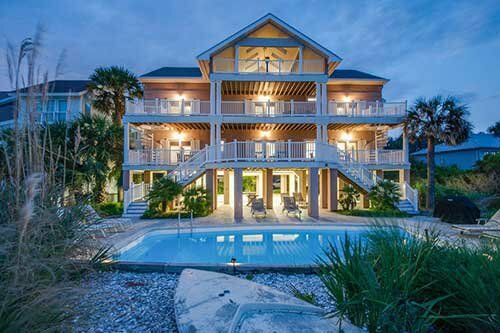 We'd love to have you stay on the Island for an extended stay! Many of our properties offer monthly rentals starting in October through the end of February or March. 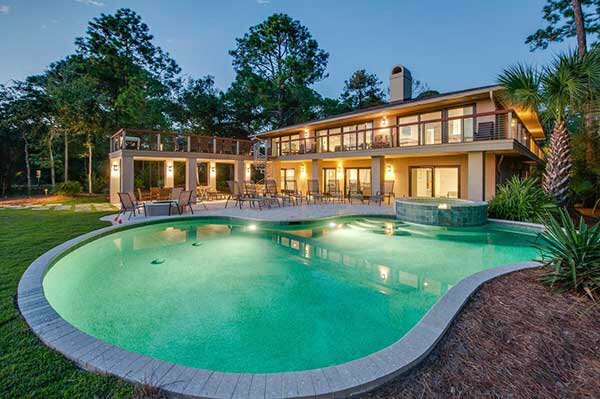 Please give us a shout if you are interested in escaping the cold and visiting beautiful Hilton Head Island for a month or three! All monthly rentals must be booked by calling our office. Snowbird renters are our friends! We can't wait to hear from you! We have multiple families staying in the property. How do we work multiple payments? Have multiple families traveling in one group and need to split up the payments between multiple parties? Easy, peasy! Splitting up payments between different credit cards or checks is no issue at all. Just let us know the deets when you are booking and we can make it happen. What do you recommend for bike rentals and other island activities? Definitely check out our Things to Do section of our website. You can find anything there from bike rentals, to water activities, to golf, to dining options, and even a grocery delivery service. As a Coastal Home and Villa guest, you will receive a discount at a good number of vendors around the Island. Those that offer discounts will be noted on our website as well as the guest mobile app. Check out our Insider Tips from our local staff for some suggestions from the locals!